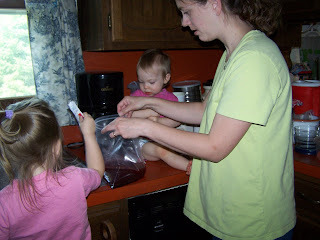 We were at Grandma's and decided to try some more Kool-Aid dyeing. 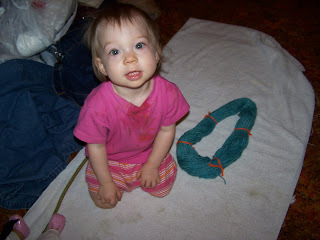 We started with about 4 ounces of a dark greenish yarn to see what that would end up with. 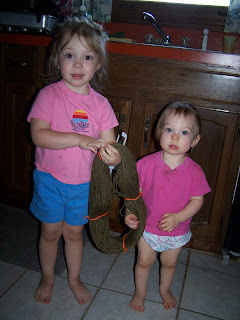 Here are my lovely assistants holding the undyed yarn. 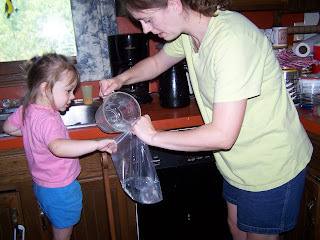 Here we're adding the 3 cups of water and 1 cup of vinegar to a large zippy bag. 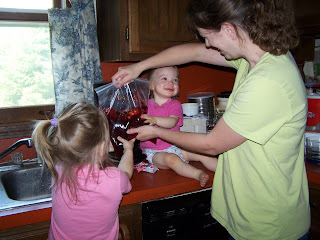 Next came 4 packages of Kool-Aid. Emily is having a ball!! 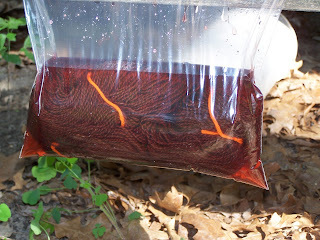 The yarn is in the bag with the dye now. 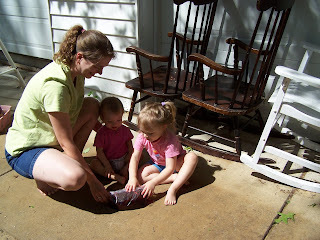 Putting the yarn outside on the cement to "cook". 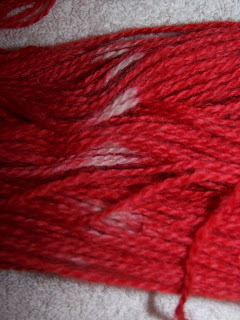 Closeup showing the yarn in the bag with the dye mixture. 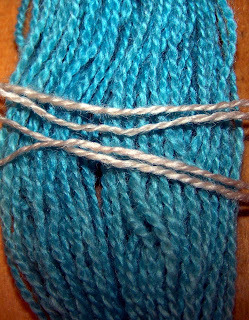 Yarn #2 all done! We left it outside for almost 3 hours. 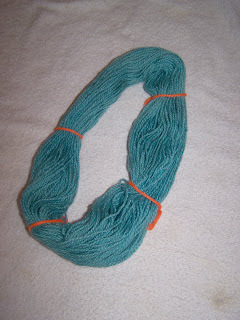 This is our finished yarn with the beginning colored yarn on top. It ended up browner than we expected. 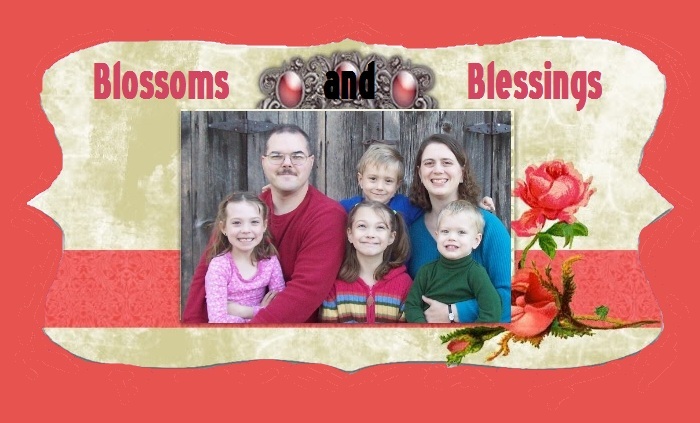 We were thinking more of a cranberry color. 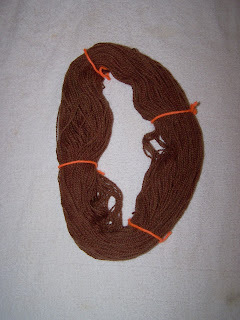 This is the natural color of the yarn we used for our 3rd attempt. 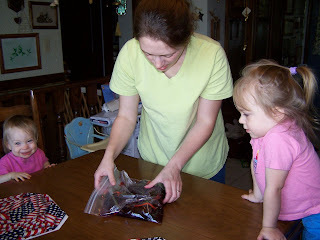 We decided that the dye mixture stayed around the yarn better when the bags were hanging. 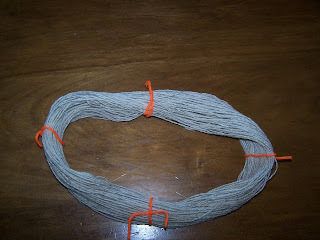 Here's the finished yarn for attempt number 3! This one "cooked" for about 2½ hours. 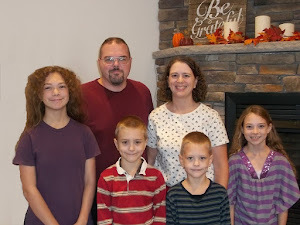 This is the closeup with the natural color on top. 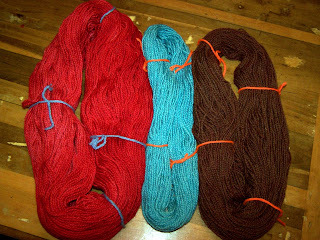 Here are all 3 of our yarns laid out next to each other. I know that it isn't super exciting for most, but this is the first year that I've actually had a garden that has grown this well! This is where we had our pool the last couple of years, so we had a nice dead spot in the grass, so it seemed like a good spot to put the garden! 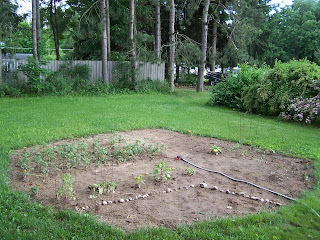 On this side, I have sunflowers, potatoes (from ones I had bought that had started to grow!) carrots, leaf lettuce, tomato, green beans, peppers, and cantaloupe. I already have a baby tomato and a baby pepper! 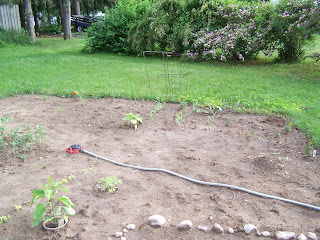 The area in the front with rocks around it is for my girls to dig and play in. 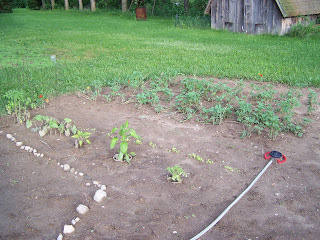 There isn't much to see, but on the far side, I have sweet corn, pumpkin, sweet peas, cucumbers, onions and garlic (from purchased ones that started growing), and watermelon. 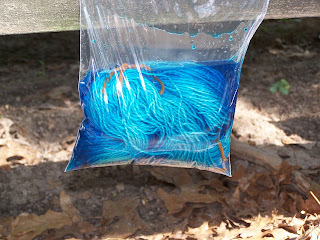 I had been reading about dyeing yarn with Kool-Aid and my mom had some wool yarn, so I got about 8 ounces from her and gave it a try! 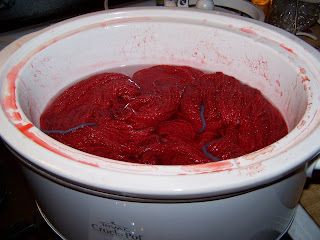 I've never dyed anything before (other than tie-dye with RIT) so it was a new experience, but fun! 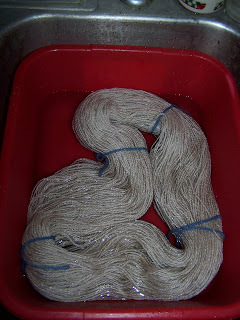 This is the yarn soaking in cool water prior to the dyeing process. 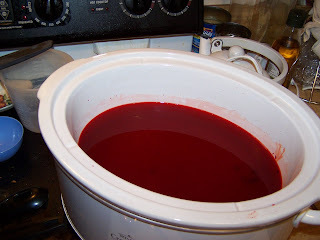 This is the dye in the slow cooker waiting for the yarn. 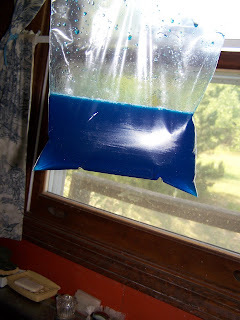 I used 6 cups of water, 2 cups of vinegar and 8 packets of Kool-Aid. 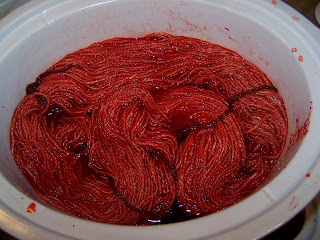 Here the yarn is in the dye just starting the dyeing process. 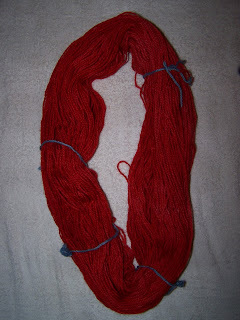 I cooked the yarn and dye on low setting for 3 hours until the water was clear. The yarn is all done! 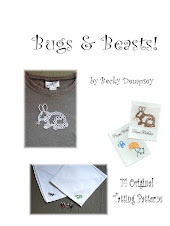 Even though my ties were very loose, I still ended up with a small undyed area.